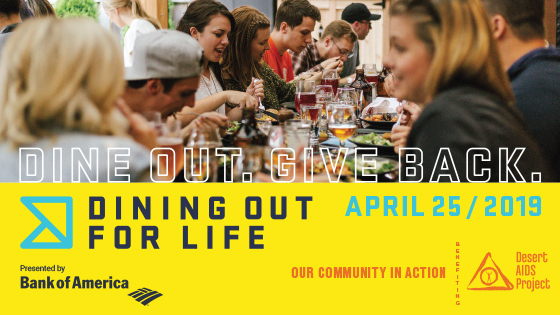 Over 80 local restaurants participated in the 2018 Dining Out for Life event raising over $280,000 for client services at Desert AIDS Project. Greater Palm Springs ranks in the top three fundraising markets out of 52 locations who participate in Dining Out for Life each year across North America. Each participating restaurant donates 33% – 100% of the days gross sales of food and beverage. Click here to learn more! This annual So-Cal lip synch competition shines a spotlight on local drag performers and sells out quickly. Participants compete in bathing costume, evening gown and performance categories as they vie for the coveted title of ‘Queen of the Desert 2019’ while raising funds for Desert AIDS Project via fan favorite voting. Click here to get tickets!